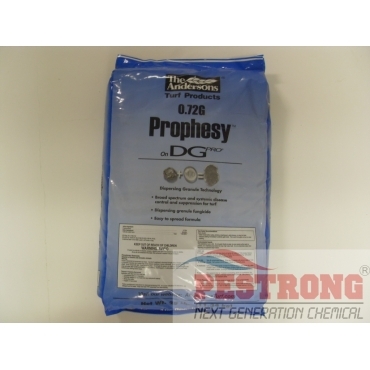 Where to Buy Prophesy 0.72 G, Prophesy 0.72G Fungicide on DG Pro - 25 lbs - $69.95 for Sale with Fast Free Shipping! 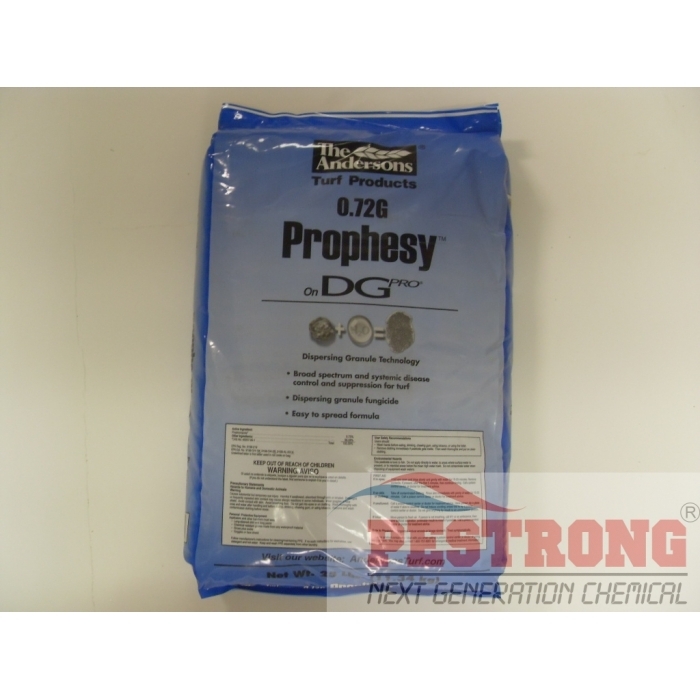 Prophesy 0.72G Fungicide on DG Pro - 25 lbs is systemic fungicide that prevents and controls Dollar Spot, Brown Patch, Summer Patch, rust and other diseases. • Systemic fungicide that prevents and controls dollar spot, brown patch, red thread in turf. • DG PRO dispersible carrier - minimizes mower pickup after irrigation. • Contains propiconazole as the fungicide active ingredient. • Can be applied with rotary or drop spreader. • Can be applied to variuos turf areas such as, but not limited to, sports fields, residential lawns, commercial properties. • Root absorbed for consistent uptake into the turf. Rate: 25 lb. Bag Covers up to 10,000 Square Feet. This product is very effective against various spots. I would recommend this product to other people with the same problem. It works great against dollar spot disease.